EE today announced a handful of new 4G plans that share the goal in offering customers with greater choice when it comes to 4G plans. Currently the UK mobile network operator is still the only provider of 4G in the UK, which is set to continue until spring 2013 when remaining UK operators will be able to launch respective upgrades. So what are the new plans at EE like? The current plans and packages will remain (boo), but the company is offering two additional options for consumers that may appear slightly more inviting when it comes to upgrading to 4G. So what's the deal? As a special promotion from January 31st to March 31st, the new £31 plan will be introduced as a 24-month contract. The package includes the usual unlimited UK call time and SMS allowances, along with 500MB worth of mobile data - the Lumia 820 can be picked up for just £29.99 on this plan. If you're not into 24-month deals, EE is also offering the package for 12 months at £41 per month. The second new plan is a package sporting a whopping 20GB of mobile data, perfect for streaming on 4G (which the network primarily promotes, surprisingly). According to EE, only 1% of customers have displayed desired to use more than 8GB of mobile data. This evidentially does not include those who don't wish to pay a ridiculous amount of money for limited Internet access. The 20GB plan will be available from today, on a 12-month SIM-only deal at the 'special rate' of £46 per month should consumers sign up between now and February 28th (£61 per month thereafter). 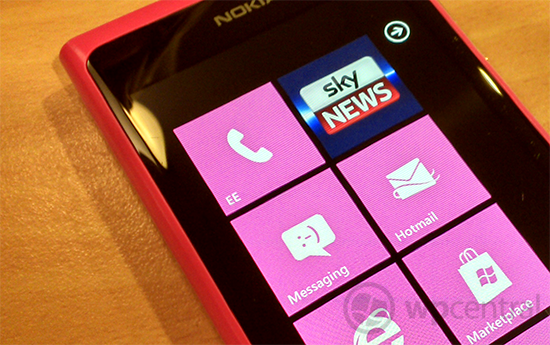 As with other EE packages, unlimited UK call time and SMS is also included. If you're looking for a 4G smartphone too, the network is offering a new handset (with the same allowances) for £61 per month on a 24-month plan, if you sign up by the deadline (£76 per month thereafter). 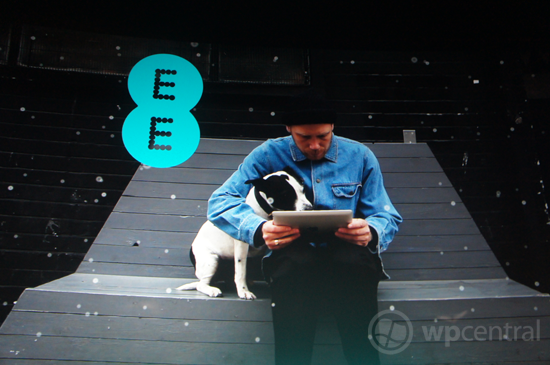 As well as the above, EE is also putting forward a new 8GB plan for £41 per month. It's still quite a jump to afford 4G in the UK. We'd continue to recommend waiting until the remaining operators launch their own services and plans, which will drive down pricing. Also, the 4G rollout is still in its early stage of development. Coverage is restricted to a number of locations. "It’s our aim to offer consumers the most comprehensive range of 4GEE price plans. With these new options we’re looking to not only make 4G smartphones even more accessible, but offer even greater value for the small number of super-users out there - ensuring EE really does offer a package that’s tailored for all customers 4G needs." It's stated EE will have 4G running in 35 towns and cities by the end of March.